﻿ Best Price on Parque Maritimo El Coco in San Juan Del Sur + Reviews! Located next to Playa Coco Beach, this tropical complex offers apartments and bungalows with free Wi-Fi, covered terraces and satellite TV. There is an outdoor pool and a private beach area. Parque Maritimo El Coco is located on Nicaragua’s Pacific Coast, 11 mi south of San Juan del Sur. Lake Nicaragua is just a 50-minute drive away, while Managua is 96 mi away. You can choose from apartments located right on the beachfront or set in lush gardens. Bungalows are located on a hill and offer sea views. All have air conditioning, a ceiling fan and private bathroom. El Coco’s beachfront restaurant serves local and international dishes and offers wonderful ocean views. The on-site tour desk can arrange activities including horse riding and boat trips. 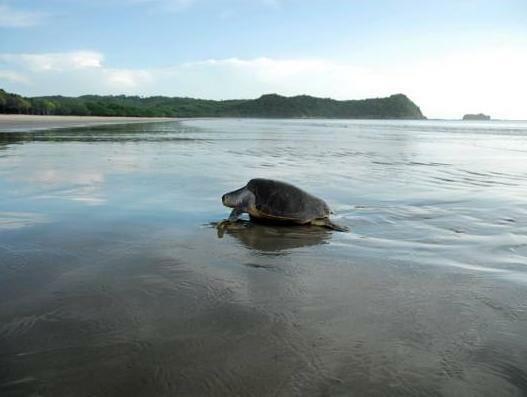 You can see rare sea turtles on the beach at La Flor Turtle Refuge, just a 5-minute drive away. We had a beach view and pool view apartment, and spent most of the time in the beach view apartment or on the beach - which was wonderful, with white sand, clear water and rolling breakers. The staff were friendly and helpful. The restaurant is ok (we had dinner and breakfast there), but we got the impression that the waiters didn't really want to be there. All in all we wished we could have stayed longer.